Join the first Department of Defense Mobile Hackathon! Exclusive combat ration data sets, cash prizes, and the opportunity to support American Soldiers. Join us for the first mobile web hackathon with the Department of Defense. The U.S. Department of Defense (DoD) spends approximately $600 Million on operational rations to feed over 36 million meals to American Troops each year. The Research, Development and Engineering for these meals is done locally in Massachusetts at the US Army Natick Soldier Research, Development, and Engineering Center (NSRDEC). Currently, the nutritional information for combat rations is not available in an easily accessible format for soldiers, dietitians and other decision makers. 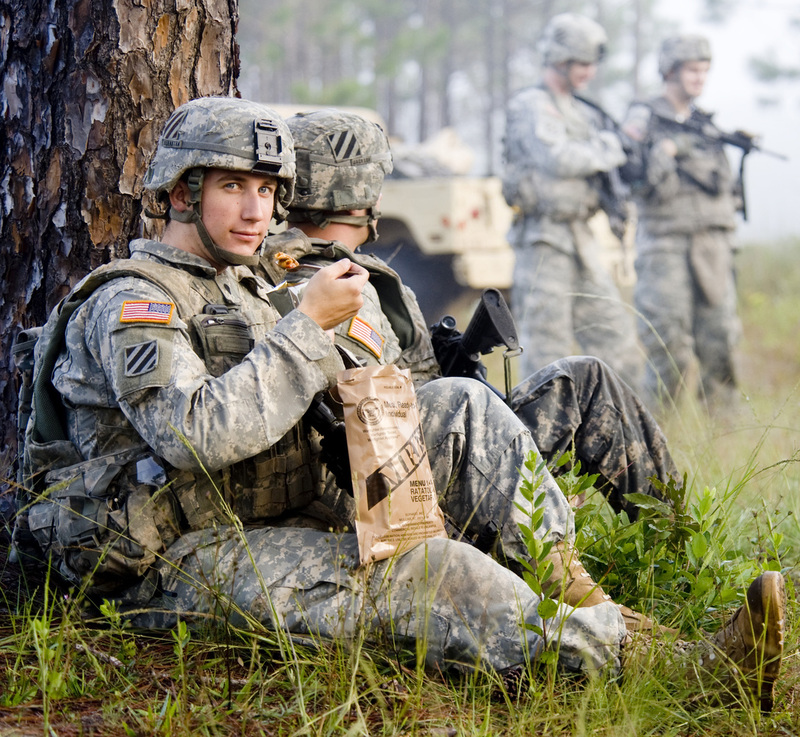 Therefore, troops cannot easily and accurately plan rations for missions and all nutrition inquiries are handled on a case-by-case basis by contacting DoD nutrition experts. To solve this problem, the US Army NSRDEC will provide nutritional data sets to hack/reduce. hack/reduce invites you to participate in a 24-hour App- hackathon, Friday, June 28th, 2013. Your Mission: With the newly released combat ration nutritional data sets, hackers will look for innovative ways that Soldiers can interact with this data in a mobile environment. This will allow Soldiers to better manage and understand their combat nutrition, ultimately allowing them to out-perform any adversary. There will be food for you, entertainment, mentorship, cash and prizes, and the chance to work on a newly released data set, and the chance to develop an app that could be used by thousands of Soldiers while also saving tax dollars. Our mission is to promote the growth and development of the technologies and skills required to process, analyze, and apply big data. Working closely with our partners and the community, we bring developers, data scientists and domain experts across disciplines together to create the next generation of technologies and applications, shaping our future in a big-data driven economy. The Natick Soldier RD&E Center (NSRDEC) is located at the U.S. Army Natick Soldier Systems Center in Natick, MA, under the Army’s Research, Development and Engineering Command (RDECOM). The NSRDEC is dedicated to maximizing the Warrior’s survivability, sustainability, mobility, combat effectiveness and quality of life by treating the Soldier as a System. Situated near the birthplace of the Nation’s Army, NSRDEC is also the birthplace of the Soldier as a System concept. Participants must be at least 18 years in age. Participants will be creating a place for Soldiers to interact with their nutrition data in a mobile environment. A link to the mobile app or site must be provided. Please sign up for this event via the Eventbrite link below provided you are able to physically participate at the hack/reduce facility on June 28th and June 29th. hack/reduce is located at 275 Third St., Cambridge, MA 02140 (617.974.3593). Is the concept creative, forward-thinking, and resourceful? Is the user readily engaging with the content of the app? Is it easy to learn and navigate the content? Is the data presented in an aesthetic, effective, and imaginative way? What was your overall first impression of this app?